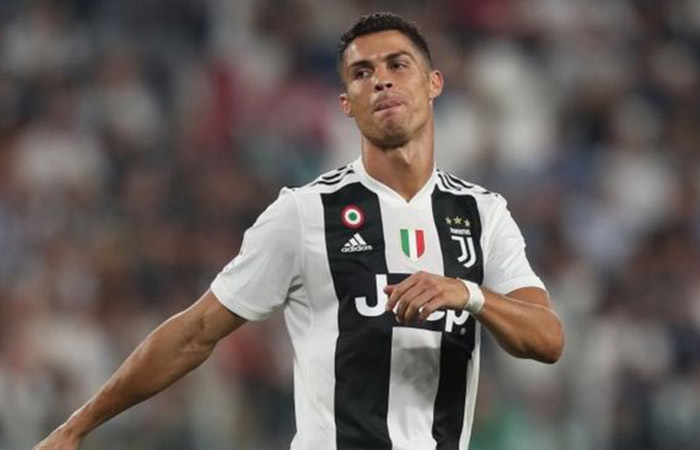 But Ronaldo has offered the Old Lady more – which might be a surprise for those who saw his nine-year evolution at Real Madrid from explosive winger into effective striker. Whether or not his emotional reactions were signs of genuine frustration, the stats show that as he evolved at Real Madrid, he created fewer chances for team-mates – 75 and 65 in his first two seasons, 31 and 38 in his last two seasons. 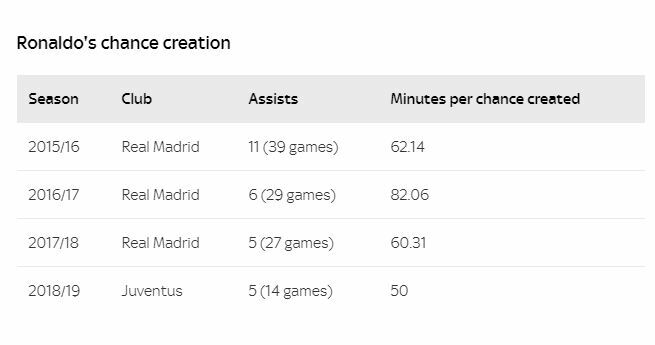 Among Juventus players, only Miralem Pjanic averages more key passes per game than Ronaldo. 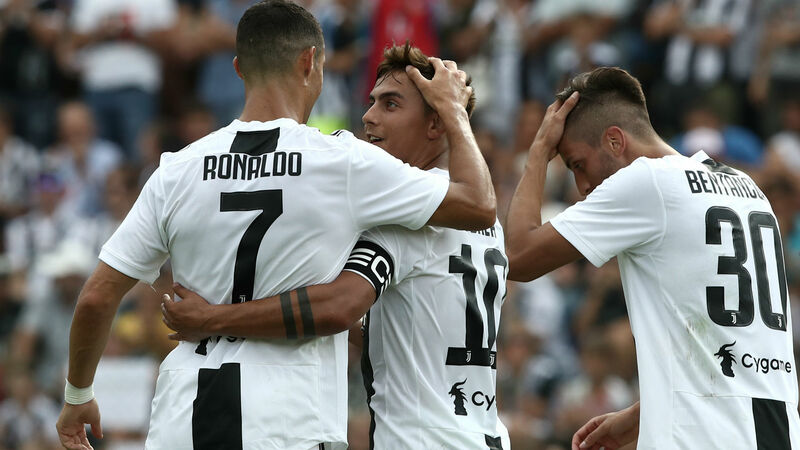 Ronaldo averages 7.1 shots per game in Serie A – Paulo Dybala is the next highest Juventus player with 2.4. The second-highest in Serie A is Napoli’s Lorenzo Insigne with 4.7. 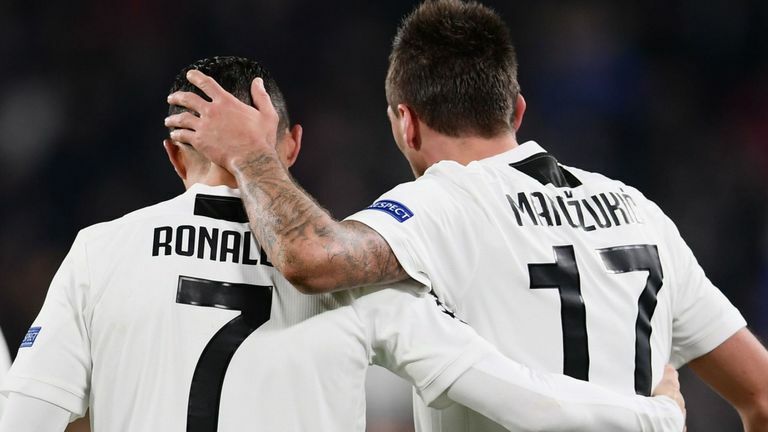 While Ronaldo seems to have settled in seamlessly alongside Mandzukic, his arrival has had a big effect on Dybala, who was Juventus’ top scorer in Serie A last season with 22 goals. 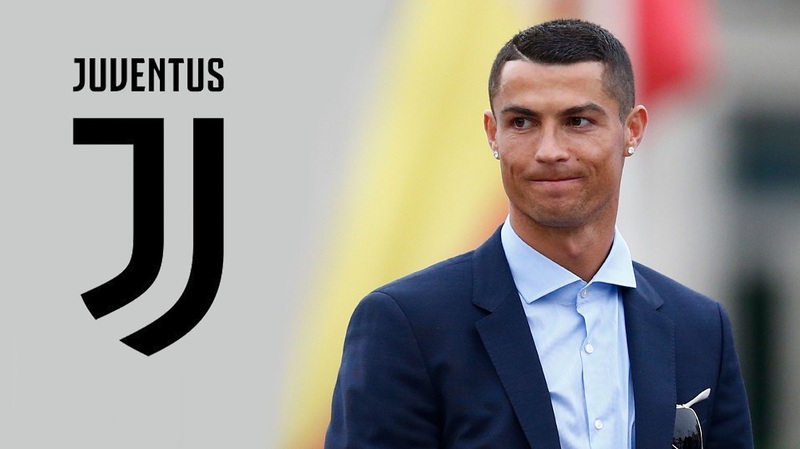 “It’s just a question of characteristics,” Allegri said. “Ronaldo and Mandzukic need space further forward, then a third has to move into the space they leave, whether that’s Paulo or a midfielder.